The Perdomo Habano line was inspired by Nick Perdomo Jr.'s dream of one day making cigars in Cuba. The result is a supreme blend using Cuban seed tobaccos grown in the Esteli, Condega, and Jalapa regions of Nicaragua which come together to produce a full-bodied Cuban style cigar. 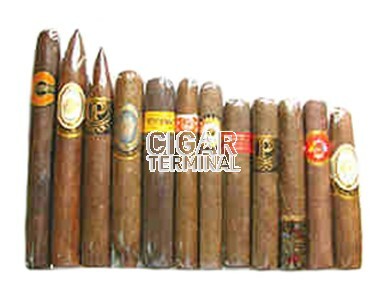 The Perdomo cigar sampler includes 12 of Perdomo's best: Reserve X Cuban Cafe, Reserve X Cameroon, Cuban Parejo Epicure Rosado, Perdomo Lot 23 Toro, Reserve P Cameroon Perfecto, Perdomo Habano Toro, Perdomo Fresco robusto, Perdomo Champagne Epicure, Estate Seleccion Imperio, Perdomo Golf Iron, Reserve R Maduro, and Roxor Deluxe Cameroon Toro.